In today's time, it's becoming more and more difficult for people to give that much-needed attention to an aging loved because of the kind of lifestyle they lead. A busy lifestyle not only affects your well-being but also prevents you from spending some quality time with a loved one who is struggling with a chronic condition or a severe injury. Every day, millions of Americans struggle to give quality care to their aging loved ones because of their tight work schedules and commitment towards their children. It's very challenging to manage your personal and professional lives effectively if your aging parent is living with an illness which makes it difficult for them to carry out the activities of daily living without your support. When you are in the office, and there is not one at home to take care of your parent, you get frustrated and stressed out like anything. When the burden of your job responsibilities combines with the frustration of not being able to spend time with a loved one who needs you the most, you get stressed out. And when you fail to strike that perfect balance between work and family, you become too unhappy which affects your performance. 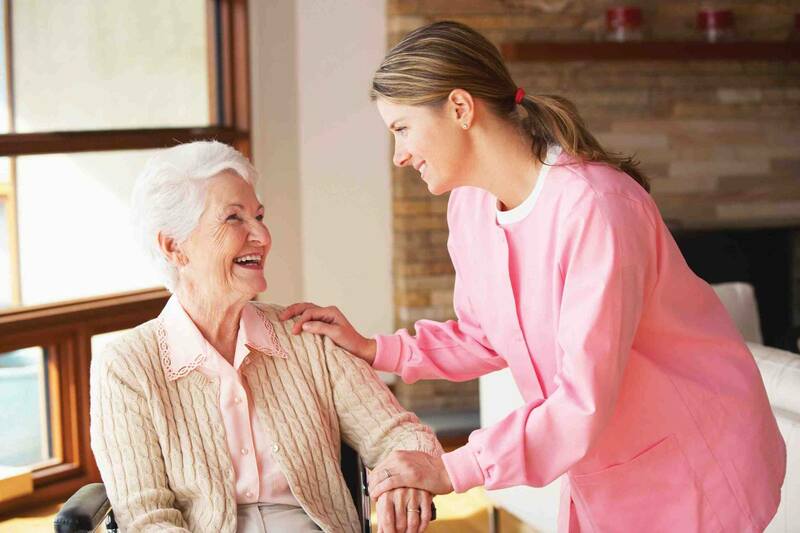 Whether you are someone who lives miles away from your aging parent due to your job or you live an extremely hectic lifestyle, the one thing that can solve your problem, and give the kind of care your loved one deserves is to book in-home care services. In-home care services are ideal for promoting the happiness of your aging parent and helping them live a more confident, independent, and dignified life. If you haven't booked in-home care services for your aging parent so far, here is why you should do that now. It Will Give You Peace of Mind The moment an in-home caregiver arrives at your home to assist your loved one, you no longer feel the pressure of not being able to provide quality care to them. Even if your work demands you to spend extra time in office, once in a while, you will do that without any regrets because you know your aging parent is not alone at home. Your Loved One Will Get Quality Care If your aging parent is struggling with an age-related illness like osteoarthritis, an inflammatory condition that affects joints and reduces flexibility, or Alzheimer's disease with symptoms like memory loss and difficulty completing routine tasks, then they need quality care. You can't leave them at home alone because they won't be able to perform any task independently. Whether you talk about bathing, making the bed in the morning, or doing the dishes, your parent will need someone's assistance if they are ill. Having an in-home caregiver at home ensures that every need of your parent is taking care of well. It Will Promote The Dignity of Your Loved One If you want to promote the dignity and independence of your loved one, you should book in-home care services for them. The availability of a compassionate in-home caregiver will not only make them feel that they are not alone but will also give them the satisfaction that they can perform the activities of daily living with the assistance of the caregiver. It will give them the confidence to live a happy life. Rather than feeling depressed and stressed out, your loved one will feel comfortable and independent in the company of a reliable caregiver. Your Loved One will Eat Food At The Right Time Whether you talk about giving medicines to your loved one or making them eat healthy food at the right time, a compassionate caregiver will perform their duties effectively. If you need meal preparation services, you will get that too. A caregiver will perform all those tasks that will help your aging parent live a quality life. Your Loved One Will Get a Companion Having a companion with whom they can share their thoughts and feelings remain utterly crucial for seniors living with an illness. They feel happy and energetic when they get a chance to chat with someone. Since in-home caregivers are highly professional, and they understand their job requirements effectively, they end up becoming friends with your loved one soon. A caregiver knows that if they manage to become friends with their client, they will remain happy and satisfied. Apart from that, an in-home caregiver will also assist your loved one with light housekeeping if they require it.